Almost every morning I wake up at 5am, whether it is a workday or not. The moon at 5am this morning. My alarm is set to 5:20am, but I rarely wake to an alarm. I don't like waking up like that, to a noise that jars you out of a pleasant sleep. I discovered something called Bedtime on my phone that I now use for an alarm. It calculates how much sleep you need and what time you should go to bed according to the time you set your alarm for. I set a reminder for 15 minutes before bedtime to remind me to go to bed. It really does help me get the sleep I need (7 1/2 hours to be at my best). You also wake to a very nice alarm which starts off soft and slow and will get a bit louder if you do not turn it off. This lulls you out of sleep instead of jarring you awake. 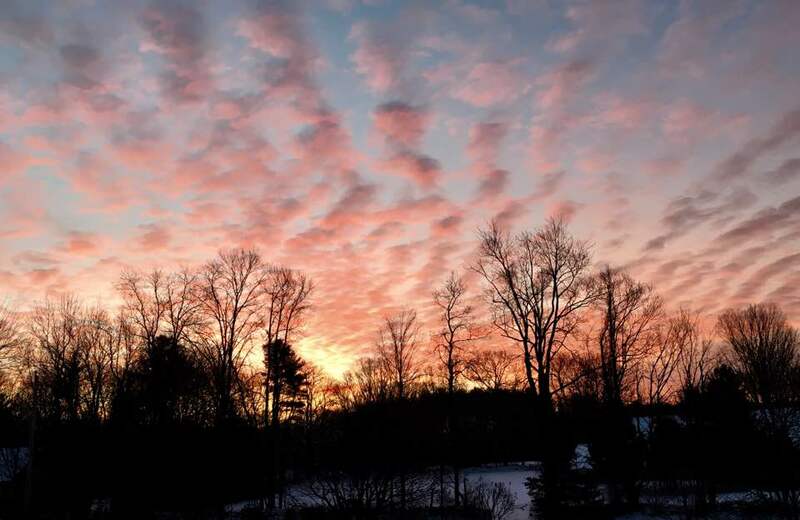 Sunrise a few days ago. After dinner the night before, I get the coffee pot ready for the morning. I use the preset feature and set the brewing time for 5:30am. By the time I come downstairs from my shower, the coffee has started brewing. I love coming down to the aroma of fresh coffee! I purchase coffee in a can from the grocery store and I buy the least expensive brand. Sometimes it is the "house blend" store brand and other times it is a name brand on sale for less than the store brand. For Christmas I was gifted some specialty coffee from my husband's niece. I alternated between this coffee and our regular coffee and no one noticed or mentioned a difference. Before I drink my coffee, I putter around a bit. I fill my coffee mug with hot water to warm the cup. Next I check on the fire in the wood stove. Sometimes I just need to add a log, other times I need to start a fire because the one from the night before has gone out. I also fill the enamel steamer we keep on the stove with water and add a few drops of essential oils. Right now I'm using a combination of orange and tea tree. Next, I light some candles. And put on some instrumental Christian music. We have a subscription to Spotify which I love. We pay a monthly fee and you have access to almost any song or CD you could ever want. I have created many different playlists to listen to at different times. I especially loved creating a Christmas playlist. After that, I add some flavored creamer to my coffee cup and put it in the microwave for 30 seconds. I like my coffee really hot. I use this frother from Ikea to froth the cream after warming it. While that is warming, I empty the dishwasher and add any dishes that accumulated after the dishwasher was run. Then I rinse and fill the diffuser and start it up. The dog's bowls are filled with fresh water and food (and a little cheese). They have usually stayed overnight in Megan's loft in the old barn that is now a garage with a loft apartment above. She lets them out at about 6:30am. I straighten up the family room, put away blankets and fluff the pillows that are usually in disarray from the night before. Gather my reading materials, coffee, and laptop. And finally sit down with my coffee. I always hope to have at least an hour to enjoy before anyone else gets up. I read and pray and think about the day ahead. I really need that time to myself in the morning before I really start to get ready for work or the activities of the day. What is your morning routine like? Do you like to get up early or sleep in as long as possible? And I thought this was my secret - lol! I love this post..... I thought it was ME writing it there for a moment... 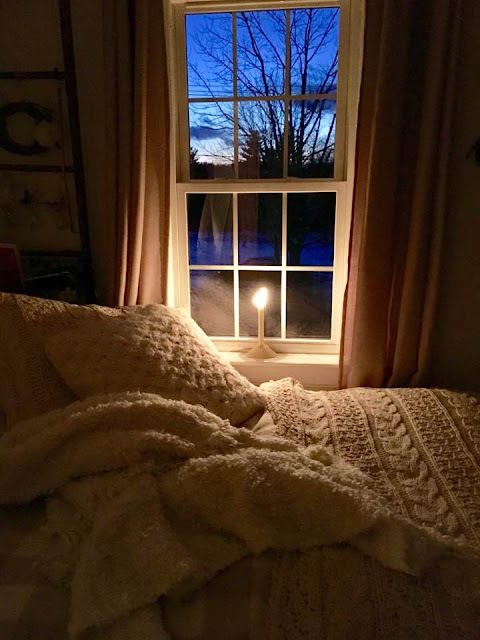 I am an early riser as well... Love to get the coffee going candles normally are lit... or a Scentsy warmer.... turn on a couple of lamps... get my Bible and note pad and enjoy the quiet of the early morning ... such a beautiful way to start each morning !!! The secret is out Lisa, sleeping in is overrated! Loved this post...thanks for sharing! Love you post gives me motivation to start my day in a new more relaxing way. Start a habit of it and you will never go back Donna! I also covet my mornings before everyone is awake. There is such a calm which helps my day before the house awakens. I'm interested to hear where you get your essential oils. I was never interested but my yoga instructor brings them and I'm loving them. Just not sure where to begin. 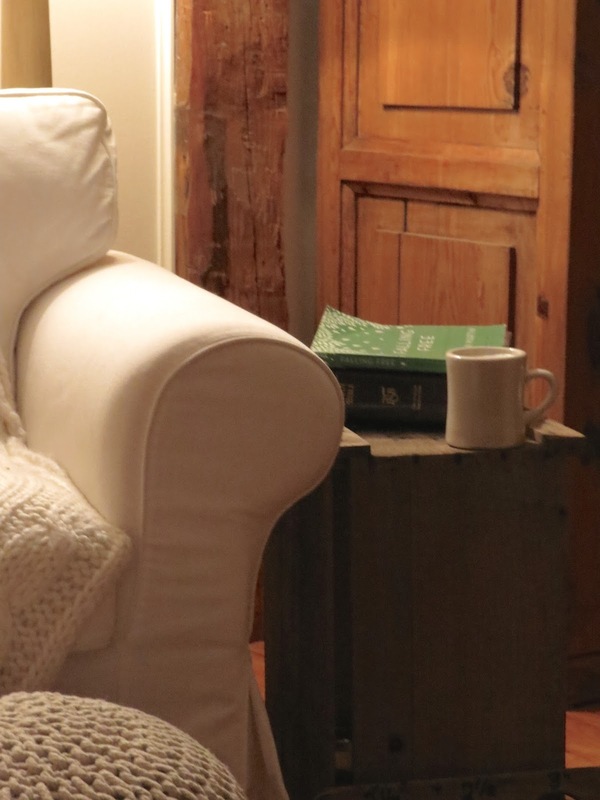 Also, love your home... it looks like a great place to read with a cup of coffee...very inviting! What a lovely post! We get up at 4:30 and my hubby leaves for work around 5:20. So I also get to take a good long time with my quiet time in the morning. A wonderful way to start the day! Love this post! I too enjoy my quiet, early morning time before anyone else is awake. The Closet Project - Beyond the Curtains!